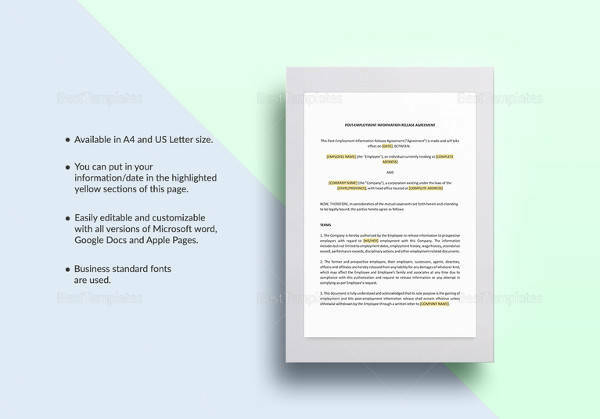 A contract is a document that states that there was an agreement between two parties. 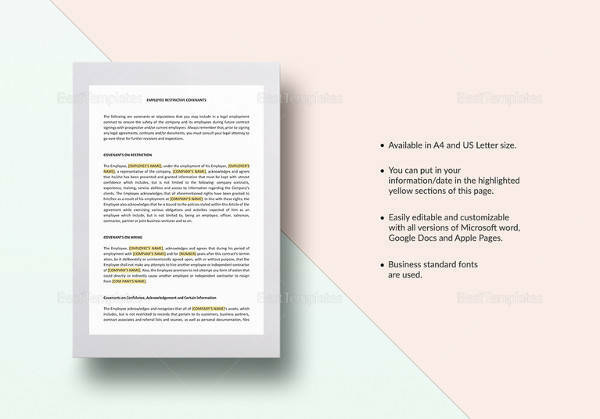 Though contracts do not necessarily have to be on paper, written ones are more favored because they serve as evidence for whenever there are misunderstandings compared to spoken contracts. 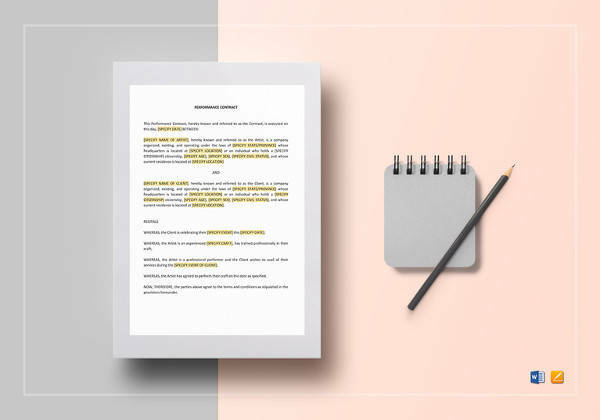 If you are and HR officer, we have seven Sample Agreements between an employer or employee that can be found in this article. 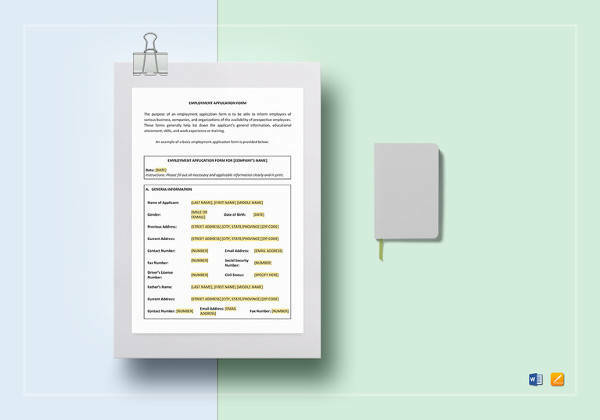 Once a job applicant has been accepted to work for a company or organization, contracts should be given to them to make them aware of their duties and responsibilities, salary or compensation package, company terms and conditions, etc. 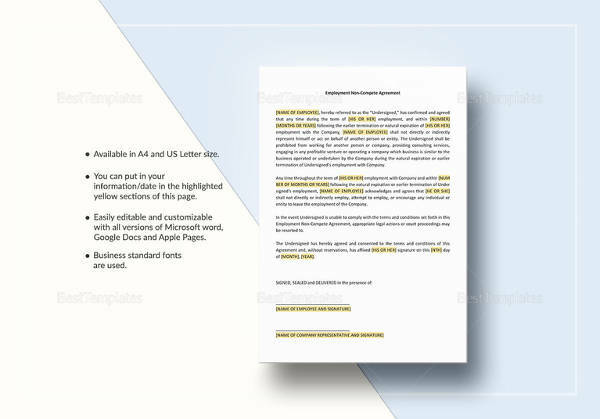 Browse through the sample templates below to see which one would best represent the company or organization. 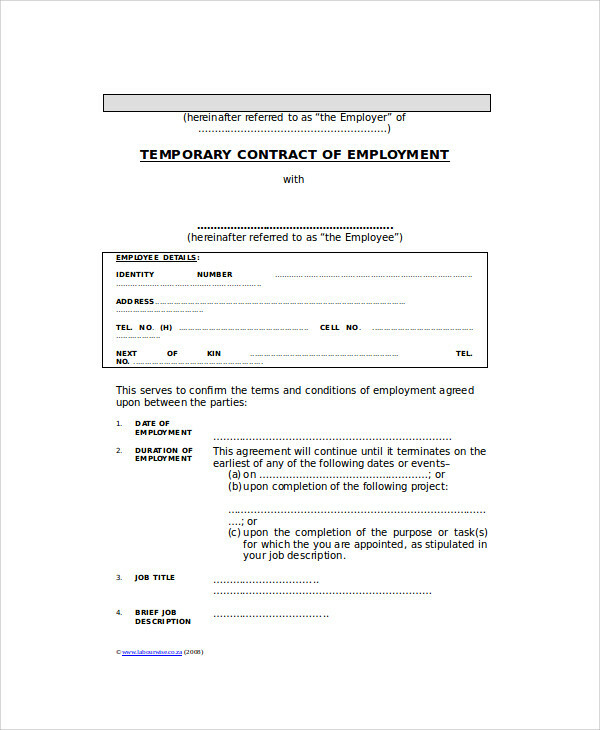 What Is Included in Contract Employee Agreements? 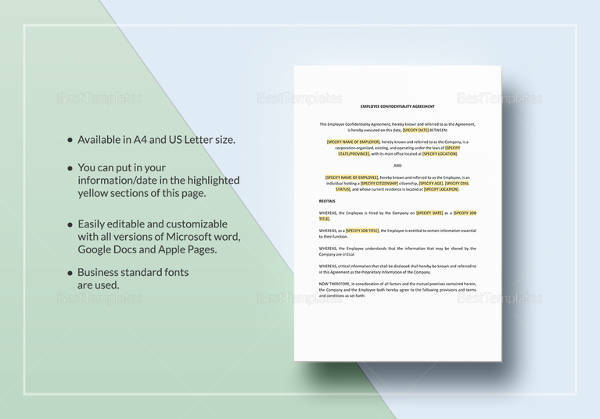 other information that may be confidential between an employer and employee. 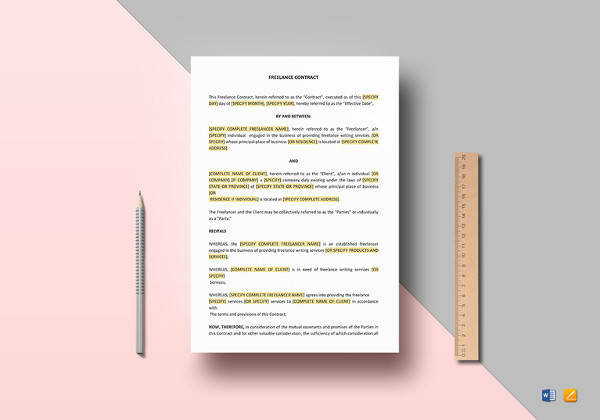 An employee contract should be able to cover all the things that a new hire must know about the company. 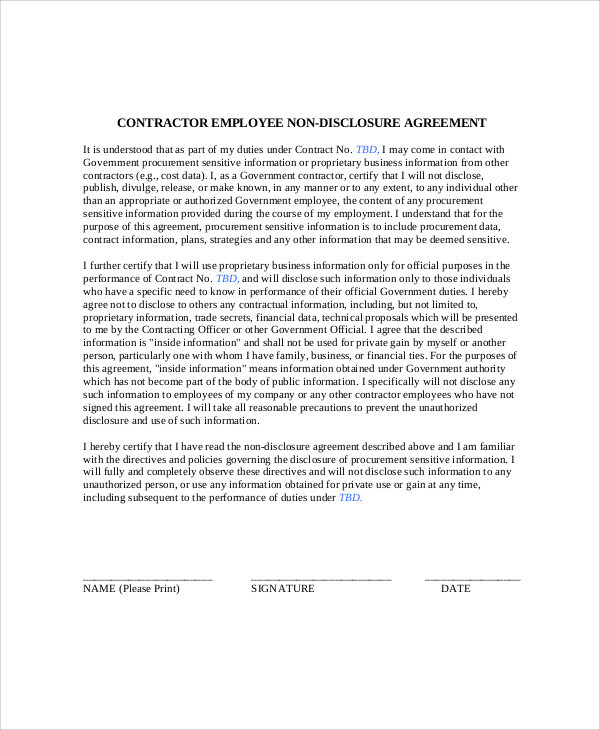 Once the new hire has read and understood the contract, he/she can now choose whether or not the contract must be signed or not. 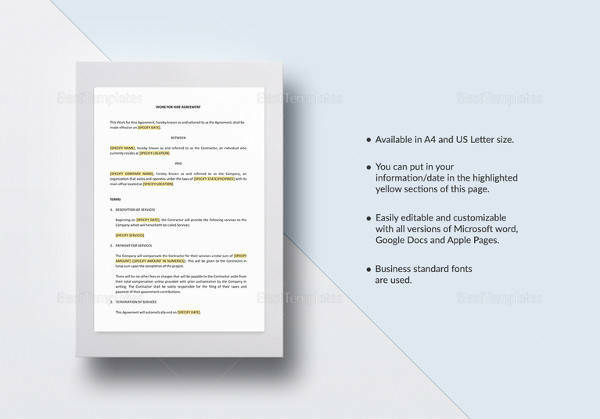 Affixing of the signature means that the new hire has agreed to what is written on the contract. 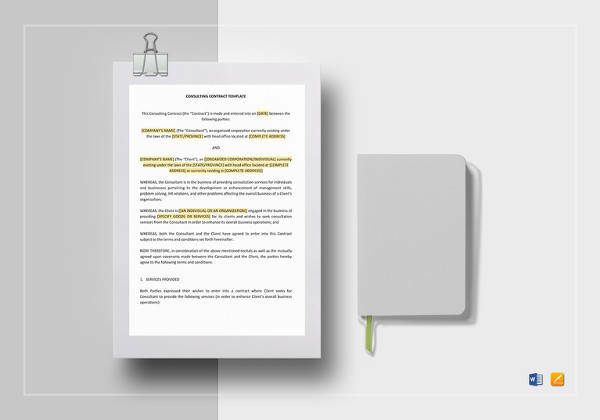 Giving your employees a contract is part of being a responsible HR officer. 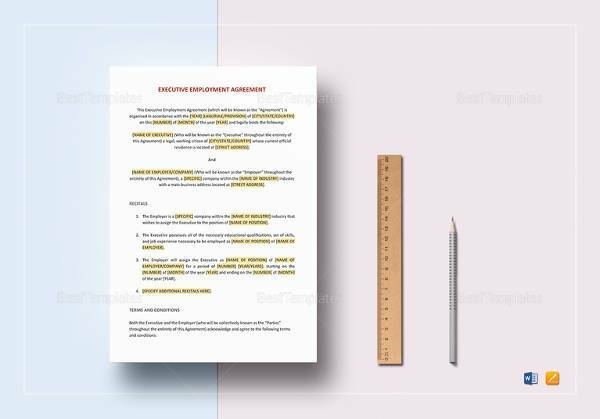 These documents give you and your new employee a sense of security because the margin of error will be low, given that the employee indeed understood what is being asked of him/her by the company. 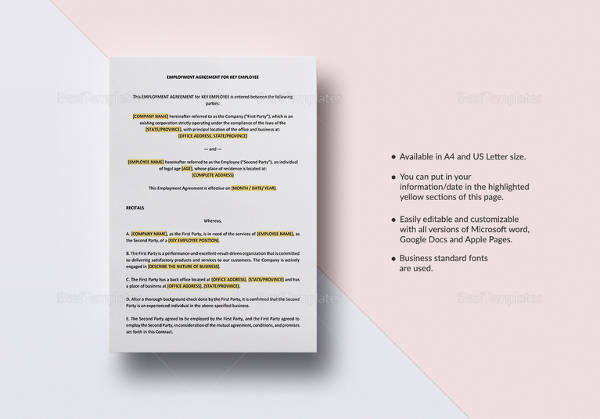 These documents make sure that workflow will be continuous. 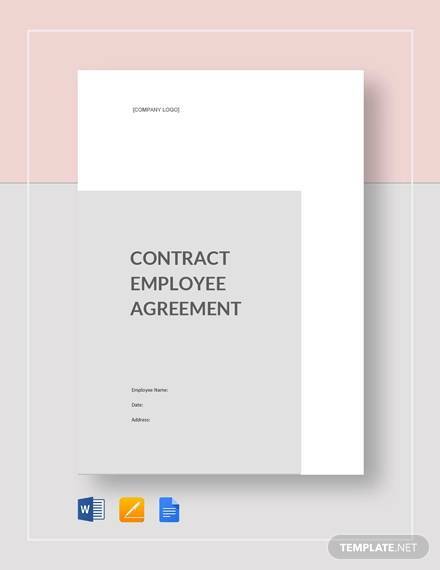 Should there be any conflict between an employer and employee, referring to the contract can be of help and might even resolve the root cause of the problem. 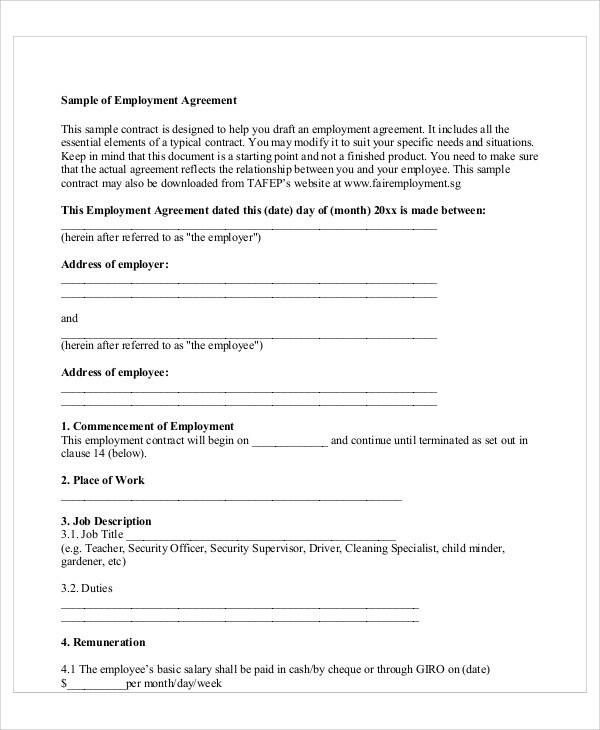 Since these are agreements, they also make your relationship with the employees more solid. In writing one though, you should be aware of the laws about labor in order to prevent loopholes. 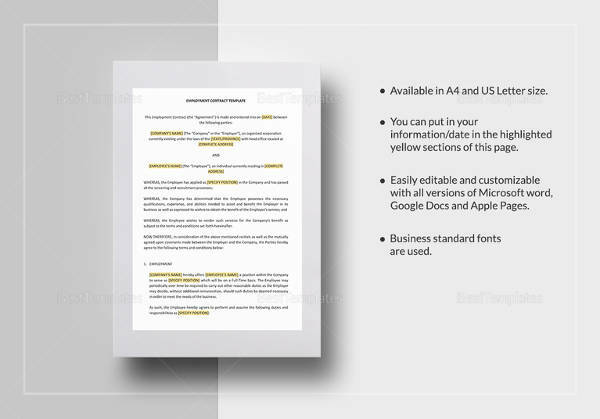 All of the contract templates available in this article are in PDF (.pdf) format. 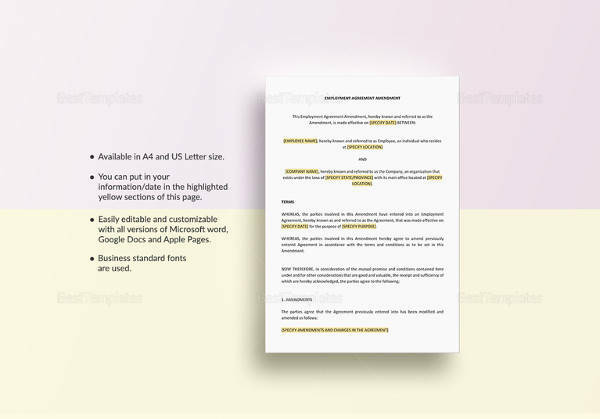 This means that it will be easy to download (just click on the green Download button) and will serve as an excellent guide in drafting a contract that will be a representation of the company. Just choose one that you prefer and customize it according to the company’s needs and wants. Are you hiring people in a construction industry? You may want to look at Construction Contractor Agreements.